Back to a casual update on my trip to Cambodia, so I have visited most of the historical temples in Angkor Archaeological Park and explored the rest of Siem Reap Town. You must be wondering what else to visit there. 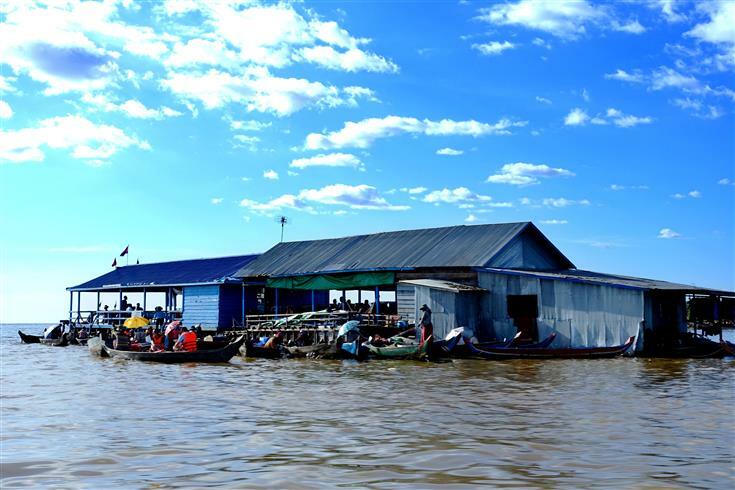 As suggested by many tuk-tuk drivers and travellers online, the next best thing to do in Siem Reap is to go for a Floating Village trip around Tonle Sap lake. It is truly a good experience for those who have not seen similar places before, otherwise you may find it boring and not worth the entry fee of $20 for this short tour that takes about 2 hours. 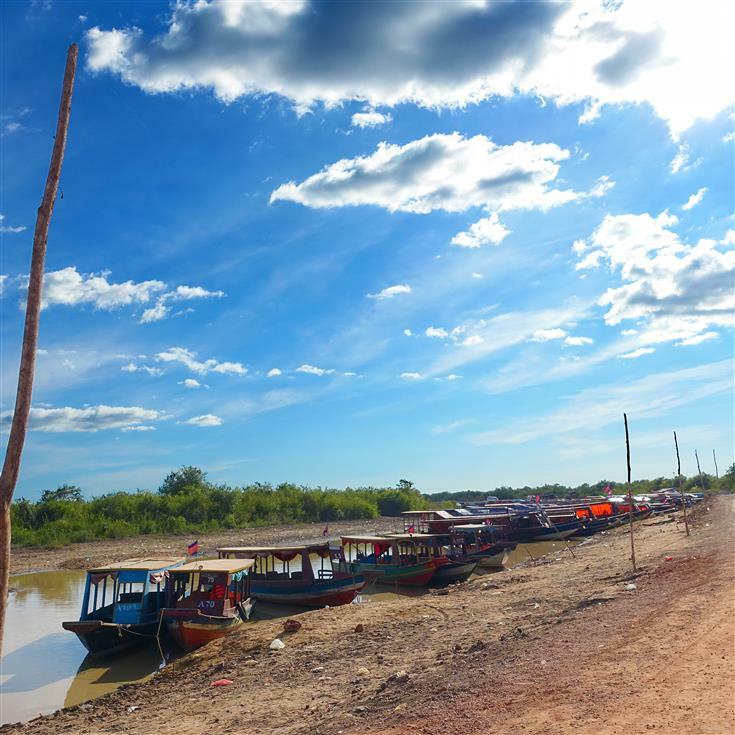 Chong Kneas and Kompong Khleang are amongst the floating villages that become top tourists' attractions, but seriously you'd get pissed off because there are just too many locals pushing you to buy stuff and young kids asking for donations. 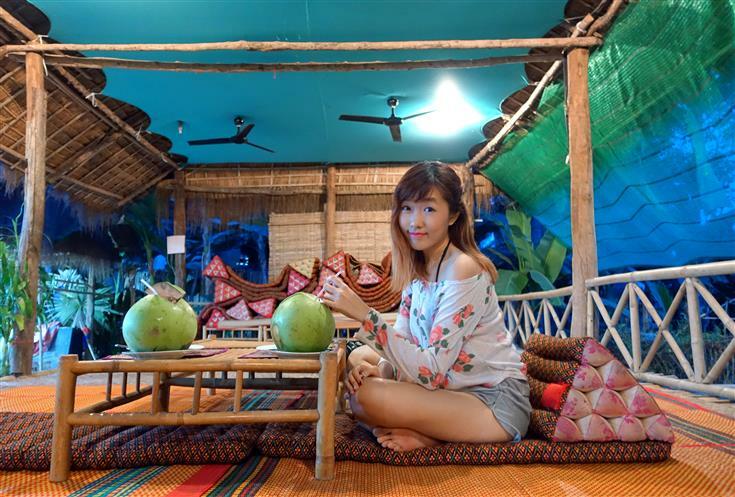 Hence, I prefer Kompong Phluk, totally peaceful and free from disturbances. The boat journey is actually quite scenic and enjoyable. I read online about the growing flow of tourists here with dozens of boats at the dock, but during my trip, Kompong Phluk is pretty quiet and has kept a lot of its authenticity. 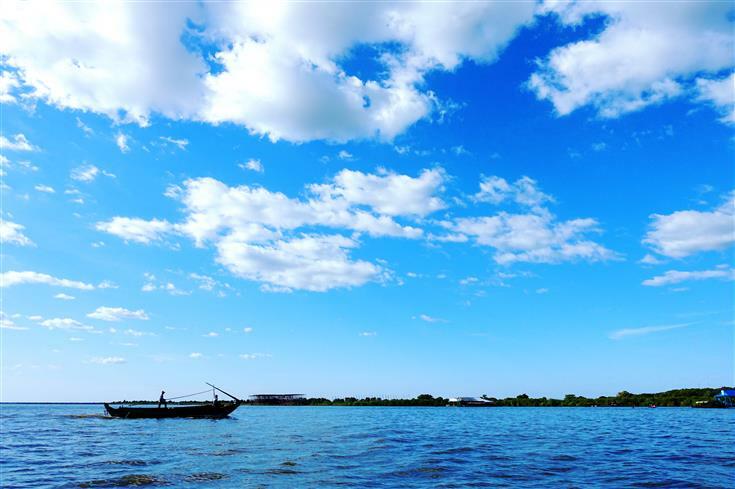 Well, Kompong Phluk is a small village, so the boat ride is consequently quite short, passing by a mangrove swamp along a narrow stream of river. To hop onto the smaller boat and explore the mangrove swamp, there will be additional charge of $5 but we skip that because there are plenty of similar scenes in our country. Honestly the scene is unpleasant initially, with plenty of filthy smell and trash in the water. But as soon as our boat navigates towards the ocean, the smell goes away and I am very glad to see the oceanic blue sea right in front of me. Overall, it is a short but nice experience, to be able to get closer to the nature and enjoy the oceanic breeze. 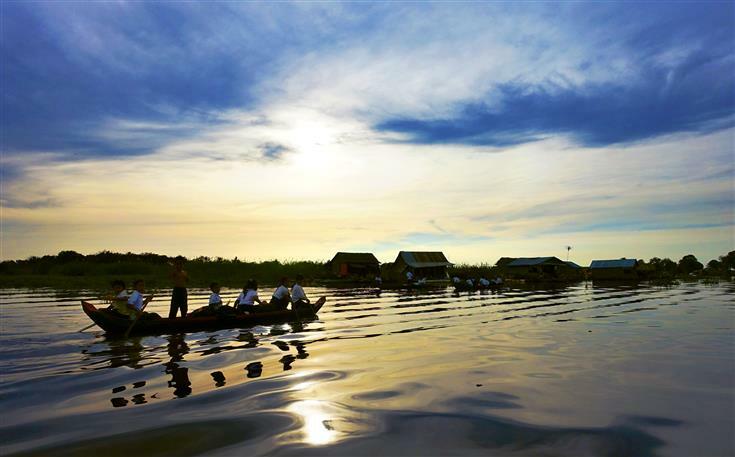 Thanks to its low number of visitors, MeChrey floating village feels genuinely untouched and peaceful. When we arrive by the small pier around 2pm, there are literally no other tourists' tuk tuk or van around. 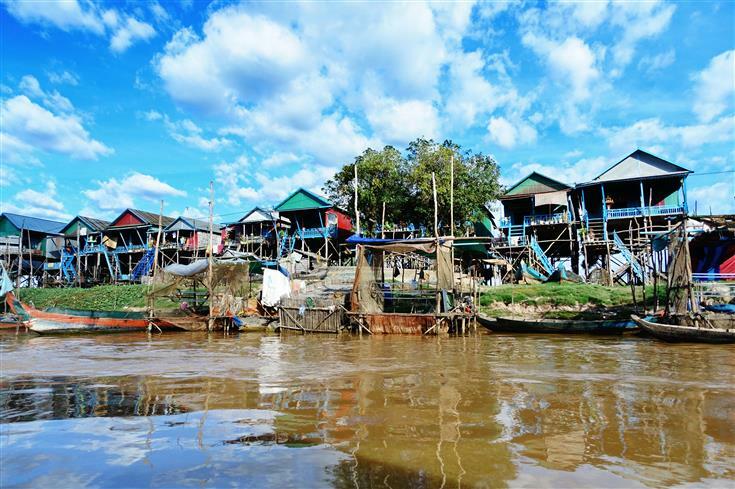 Upon arriving at MeChrey, you will see several dozens of wooden houses floating on the river as far as the eye can see. 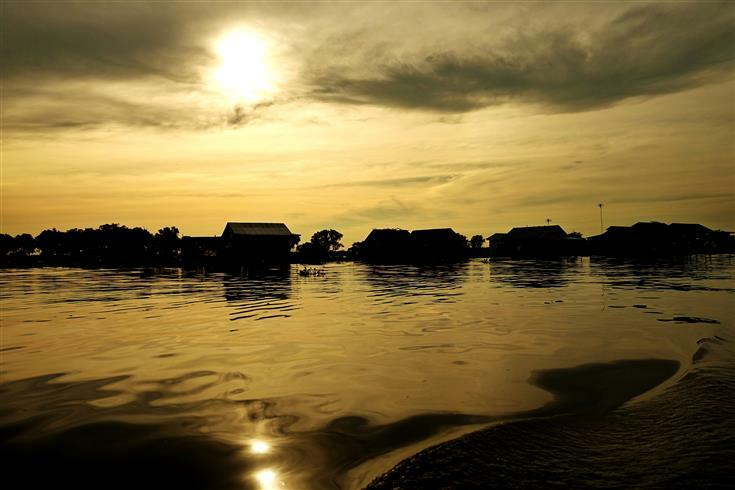 Then I am surprised that this village moves along the river and Tonlé Sap lake according to the seasons. Sounds amazing right? 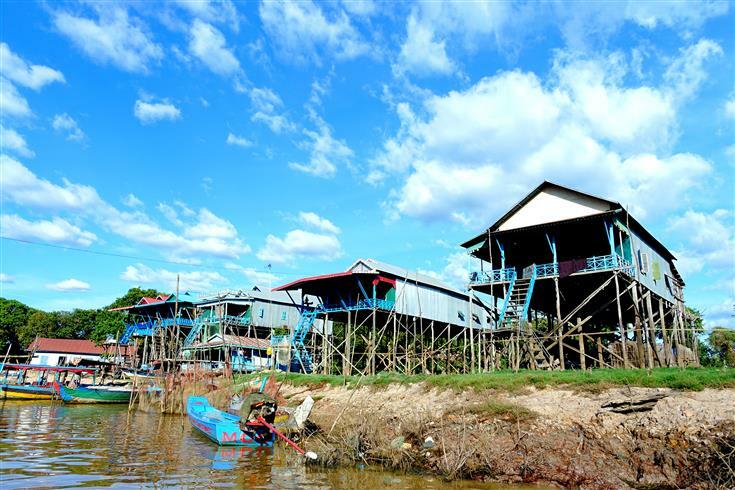 More than a village, MeChrey is a small town with a primary school, floating market and everything that such a large community requires to function. Along the way, you can ask the boat operator to stop for some photographs. Here we can see how the little kids row their boats home, some younger ones are assisted by their seniors while the girls here are as strong as boys! As I personally have never seen such things before, it is a truly mind-boggling experience. School children are rowing their boats home during sunset. One of the best things about MeChrey is the picturesque scenery of sunset that truly captivates my heart when I am in the middle of the lake. Looking at those kids, I can't help but to feel how blessed I am to be able to live in the city complete with facilities that make my life so much easier compared to the less fortunate ones in Cambodia. Also, at MeChrey, there are few floating homes that sell freshly caught seafood at $2 per kg. This service is operated by the locals, and it is entirely up to us whether to buy anything from them. No forcing at all. I really hope it remains this way in future. But we show our support by buying a fish from them, and have it cooked at Khmer Organic Kitchen for our dinner. 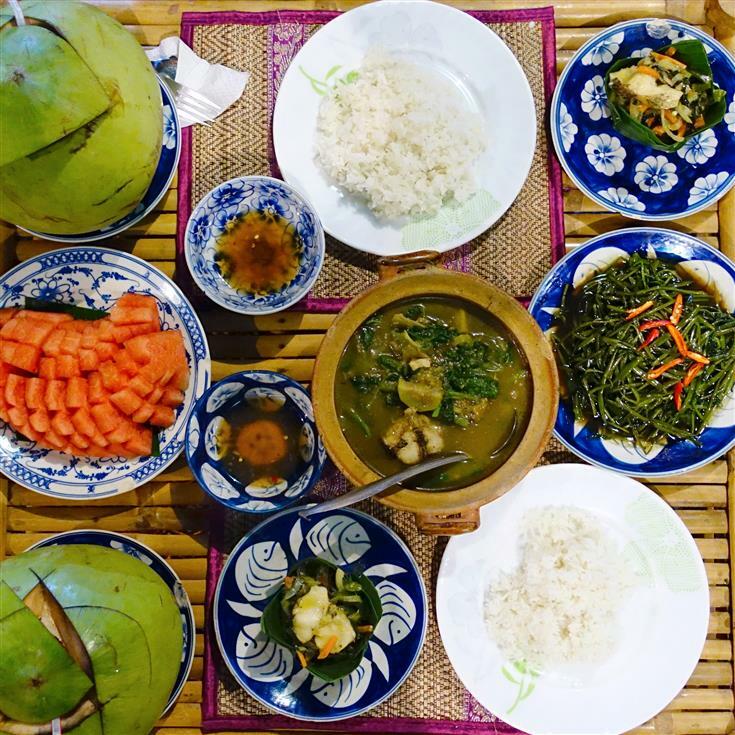 It is located in the village along the returning way from MeChrey, so we stop by for a traditional Khmer 4-course meal. fresh young coconut as the breezy wind sweeps lightly against the skin. The trip to MeChrey including the delicious Khmer dinner costs USD $30 per person, which I feel slightly overpriced but totally worth the overall experience that perfects my trip to Cambodia. Have a look at this web-page to find out who invented homework.